This journey began when I was 16. A 944 was my first car and ended up being far too unreliable for a kid that needed to get to work and school every day. Ever since that first car was sold I've had it on my mind to find another. Yesterday that came to fruition. Over the years I've looked at craigslist and facebook ads constantly but I've never pulled the trigger for one reason or another. Then a few days ago I came across a decent looking project car that was posted on a 944 book of faces group but it was out in California, too far from me. I almost never comment on things like that but I decided to say "if this was closer to Louisiana it'd be gone already," I didn't think anything of it and had pretty much forgotten I'd even said anything until a few hours later I got an email. It read along the lines of "I saw you said you'd like to find a 944 in Louisiana, I have one in Lake Charles if you'd like to look at it." Turns out he lived about 3 miles away from me. That seemed like too much of a coincidence to ignore so a couple days later I went to take a look and now own a 1984 944. The car will run with starting fluid, so I'm assuming there's a fuel delivery issue somewhere. I'll hunt that down and then get to catching up on all the maintenance it's probably missed out on and then work on getting the cosmetics cleaned up. 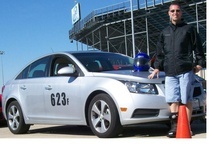 $500 was knocked off the price after I mentioned the GRM challenge so the goal for this car is $2019. And now for the pictures! You can join the Porsche Peeling Clearcoat Club with me! Awesome and welcome! 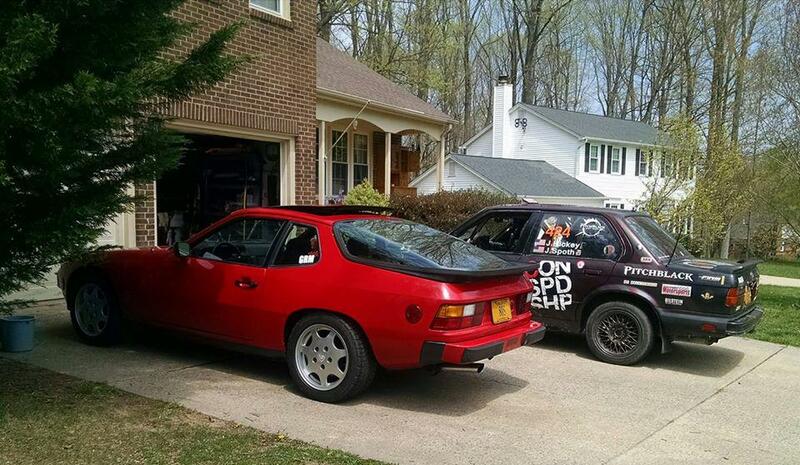 I bought my 924 come 944 for the $2006 Challenge. Never made it though :/ Being in the PNW hurts sometimes. If you're interested, I have a set of Weltmeister 250lb front lowering springs and I'll have a set of 28mm Torsion Bars fairly soon (need to swap them out of the 924 for the 30's I bought). I can let them go to whomever in the 924/944 group here can use them for a reasonable amount, including shipping. In reply to Stefan : I will probably be interested in those. The focus will be suspension work as it seems there isn't much room to work in making big horsepower jumps with the stock motor. In reply to monknomo : Happy to be a part of this exclusive club! Certainly. Send me a PM with your address and we can go from there. MK1 Golf struts fit in the front, along with the control arm bushings. Box the steel control arms to improve their strength, increase the diameter of the mounting bolts for the balljoints for safety. Find a set of longer balljoints or balljoint extenders for the 17mm Golf balljoints to keep the geometry relatively sane on a lowered car. Swaybar braces help for the front and aren't expensive to buy, or build. Dont' bother with cheap camber plates, they reduce suspension travel and bind, neither of which are desired. Use the stock ones there's very little rubber in them, slot the struts/use smaller bolts to gain the camber you need. There was an optional rear swaybar for the later 944S that is the largest fitted from the factory and its available from the factory brand new for about $130 including the bushings, etc. Front swaybar can be the 968 M030 piece (if you can find it, otherwise it should be available from the factory). A thinner MLS headgasket can up the compression a little and give you a little bit of power, probably not a bad idea to refresh some things before abusing it, especially the front of the engine service. Or add a cheap Mercedes C-class supercharger plus a MegaSquirt 1 install with a thicker HG can get you a few ponies as well and keep detonation at bay a bit. The trick is getting the ignition system swapped over to something that MS can control (add a trigger wheel to the blower pulley, control the stock coil with an ignition driver added using MegaSquirt Extra code). Higher flowing injectors can be swapped in from nearly anything from the time period using Bosch style injectors. Adjustable fuel regulators are also available for that style rail. Then its all about tuning. On the plus side, you'll lose the MAF and can simplify the engine bay/intake tubing. Weight loss is where you'll see gains for cheap at the expense of comfort. Replace the windows with lexan/plexi, the hatch is heavy and can be molded carefully using a heat gun, the rest more or less can be cut to fit. Ditch the power windows/door panels and make your own RS style solution. Replace the front seats with lightweight racing style buckets (911 seats are a direct bolt in, so are many racing seats with side mounts), ditch the rear seats. Gut and trim the dash to just the driver's side. Remove the sound padding/carpeting and excess wiring. Convert to fixed headlights/remove the headlight motor and headlight bar, there are DIY plans around on how to do this (example: use the stock headlight covers as molds for plastic lenses in your oven with sandbags to mold them once warmed). I do have some 5x130 to 5x120/4.75 wheel adapters that might help you fit BMW or Corvette and similar wheels instead of paying the Porsche tax for drag race wheels or autocross wheels/tires. Sent you an email Stefan. I was actually talking to you before about your 924/44 project. The 5x120 adaptors sound interesting as I have some spare bmw rims laying around. I have an extra pair, but I'll have all 6 available as soon as I get it in the garage to work on as I managed to snag a couple of pairs of wheels. Nice, For your fueling issue, check the reference sensors on the bellhousing to make sure they're there/hooked up/adjusted correctly. Just last week one of the connectors for mine (up on top at the back of the engine) came loose and the car wouldn't start. So it could be something as simple as that, or just bad gas. 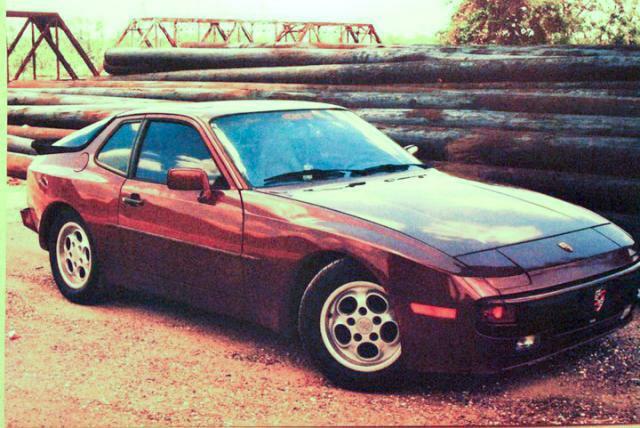 Mine is a 924S, but mostly the same car as yours minus the fender flares. Good tip, I'll check out those sensors. It looks like somebody somewhere had the same idea on those sensors. They were new and labeled with tape. They were a little loose so I tried to reseat them. I got out to the garage last night and realized nothing I did mattered because the car doesn't have a battery. So I'll work on picking one up today. It seems I've been offered a 924 parts car for the low price of going to pick it up. I'll have to start doing some research on what parts are interchangeable, I know it's heavily dependent on the year. Yeah that's heavily dependent on the year. If its a 2.0L non-turbo it won't have a lot that you can use outside of interior and glass. The suspension shares some parts, but there isn't anything that would likely help your 944 as they were more often shod with soft suspension and 4-bolt wheels. If its a 2.0L turbo, the transaxle and torque tube could be compatible for spares along with the starter and a few other things on top of the interior. If its a 2.5L, then there will be quite a bit more that is compatible and potentially worthwhile. Worst case, you can likely part it out and make a few bucks towards your own project. Good to know. And good point about parting it out. 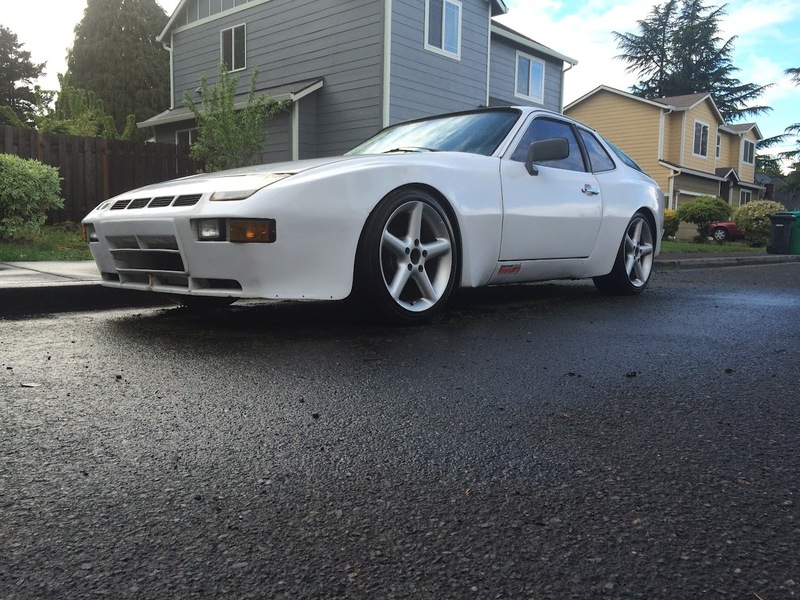 I need to start pulling the stuff I don't need from the 944 and get it listed for sale. Got to spend a few hours working on the 944 and figured I'd post a quick update on the few things I learned. The car has a new fuel pump, filter, dme relay and speed and reference sensors. The dme module doesn't look to have any bad solder joints and is getting power where it's supposed to.. The fuel pump doesn't come on with the key but it will come on if you jump the dme relay. Car still doesn't start running the pump this way though. So that's where I'm at for now. I'm thinking my next step will be to clean up the grounds on the car and go from there. Learned a good bit about the car and crossed off some possible causes for the no fuel issue. Felt pretty productive. I Agree. I have a sneaking suspicion it might be the DME. I'm checking with the local Porsche guys to see if I can find one to borrow. Had some good news over the weekend. My suspicion of the DME was well founded. Picked up a known working unit and the car cranked up. Sputtered a bit but smoothed out pretty quickly. Now that the cars a confirmed runner, the real fun can begin! Glad you were able to get it running. Sounds like you have a good base to start with. I will be following along to see what you do going forward. Keep up the good work! Thanks! I've been following your build, it's coming along nicely!